Transforming your dance studio. Powering your success. game-changing features that we’re always improving. Stay on top of your whole business. Easily check overdue accounts, track class enrollment, explore financial reports, review student skills, manage staff, collect payments, choose the best classes to offer and more. You’ll have more time to share your skills with students. Jackrabbit Dance software automates time-consuming tasks, giving you more freedom to focus on teaching and living your best life. By helping you spend less time on tedious yet essential business duties, you have more time to engage with your students, loved ones and your dreams. Use email and text to connect with parents, students and staff—anytime, from any device. Email templates make it easy to communicate about open houses, closures, birthdays and events. Turn to the staff portal to post news and reminders. You made your dance studio dream come true. You’re making a difference by bringing dance to kids. And we want to help you make your dream even more profitable making it easier to enroll students, collect tuition and fees, reduce costs and grow your studio. You love the way your dance studio inspires your students, and you simply adore the unique collection of dance instructors and students that comprise your dance studio family. By automating staff-management tasks, you’ll be able to renew your enthusiasm over your dancers and staff while also allowing your entire dance family to enjoy some great added perks! The enhanced communication and organization you’ll be promoting will be sure to be noticed by your dance parents, and they’ll spread the word! The effect is bound to be increased enrollment and revenue, something you and your staff can definitely get excited about! I can hear you groaning now. You know it’s time to create a new schedule, but the task seems daunting. Time to collect various requests from staff members — some in the form of text messages, others on scraps of paper. It’s almost impossible to consider everyone’s availability and preferences, and you usually have to come up with and distribute several drafts before coming up with something that works for everyone. It’s the same story, every year. Until now, that is! With Jackrabbit software, scheduling will no longer be synonymous with frustration — for you or your dance studio staff! Through the Jackrabbit Dance staff portal, your dance instructors and other staff members will be able to select availability and submit specific scheduling requests. You’ll be able to view all of that information simultaneously, allowing you to easily create a new class schedule. You’ll also be able to view each instructor’s previous schedules as well as enrollment information, making it easy to plan with all the information you need within easy reach. If you’re tired of trying to remember which staff members you’ve informed of various announcements and are tired of trying to follow up to make sure they’ve received the memos, think of what Jackrabbit Dance can do for your sanity! Dance studio instructors and other staff members will be able to see any important communications from you on their Dashboard, the screen they see immediately upon logging in. They’ll also be able to see any updated contact information for dancers, communication from their parents, and more — all in a single application! Of course, communication is a 2-way street, so your staff can also easily connect with parents, informing them of certain milestones or upcoming details regarding classes or competitions. With ability to track progress and communicate with you and other dance studio staff, Jackrabbit Dance will help everyone remain in sync. Instead of having to retrieve manual time cards from your dance studio staff, Jackrabbit Dance helps you automate the process. Not only will this save you time, but it can also save you money. Some businesses report that up to 7% of payroll costs are actually due to errors in manual time tracking; by automating the process, you’ll greatly reduce the chances of such overages. 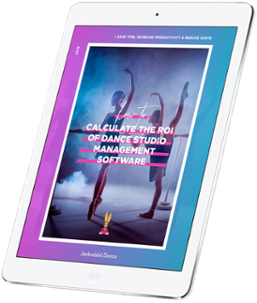 Since Jackrabbit Dance can be fully integretrated with your existing accounting software, you’ll essentially be taking the time tracking and payroll processing aspects of your dance studio off your plate, completely. Jackrabbit Dance protects your data in servers with redundant, denial-of-service firewalls. We monitor administrative controls 24/7 to prevent unauthorized access, and we use 1024-bit encryption for authentication. To keep your business moving, we guarantee 99.9% system uptime. It’s all so you can reliably and securely use your software anywhere, anytime and on any device. tutoring, art, fitness, ESL, adult dementia and so much more.